Now you can go green and organic and be beautiful at the same time! Former supermodel, Josie Maran came out with an all natural, organic, green line of high end cosmetics. The collection includes more than 70 products and colors, with prices ranging from $16 to $42. All of the great basics of any other complete cosmetics line are present such as concealer, eye shadow, blush, foundation, lipsticks and glosses. The line is made of everything you want and nothing you don't. Josie Maran products don't contain any Parabens, sulfates, synthetic fragrances, synthetic dyes, petro-chemicals or phthalates. Here are some of my favorite products from the line. It's a wonderful organic and natural multi-purpose balm-infused with Josie Maran's signature ingredient, Organic Argan Oil-now offered in a stick form. This multi-purpose balm offers all the benefits of the nourishing oil-including anti-aging ingredients rich in fatty acids and vitamin E. A head-to-toe spot treatment for dry areas in need of moisture, it conditions and repairs the skin as it hydrates. I love this slick because it's a mini argan oil slick so you can throw in your purse or bag and go! Use it to moisturize chapped lips, soothe dry skin, tame fly aways, alleviate itching and stinging from insect bites, moisturize dry cuticles, relieve chafing skin, soothe stretch marks, calm sunburn, soothe waxed skin, and much more! The balm is made with a recyclable stick. Get your bronze glow on with this bronzing argan oil! 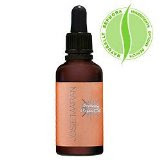 Josie Maran Bronzing Argan Oil creates glowing skin without the negative effects of the sun or chemicals. It's infused with Josie's signature ingredient, 100% Organic Argan Oil, and the formula imparts a bronze shimmer and light-citrus essential-oil scent and can be applied to the body, face, and hair! So ladies get your glow on with this sheer, no fuss bronzing oil. This is a full-coverage concealer that heals the skin while providing a healthy, natural finish. 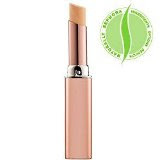 This concealer can be used on all skin types, and contains organic ingredients including pomegranate oil (a protective antioxidant for the skin) and papaya extract (rejuvenates the skin). The packaging is also recyclable. It camouflage imperfections, with an easy-to-blend makeup staple. It also contains Josie's signature ingredient, 100% pure organic Argan oil to replenish and repair skin cells. This is a multi-use palette containing four feather-light shimmers that bring soft-glowing color to eyes, cheeks, and lips. Ingredients include organic jojoba seed oil (to soften the skin) and organic shea butter (to protect the skin). The beauty extends to the packaging, it's so chic and feminine, you would never know it's made from biodegradable corn plastic. 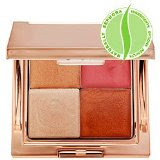 This is a gorgeous multi-use palette in shades specifically chosen to flatter every skin tone. It has just the right assortment of colors for the whole face in one compact, and the shades blend flawlessly for easy application. 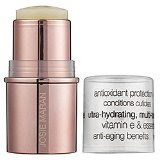 It contains Josie's signature ingredient, 100% pure organic Argan oil, which replenishes and repairs skin cells. 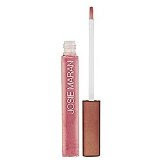 Josie Maran Lip Gloss comes in sheer, easy-to-wear shades that highlight your natural lip color with a sophisticated touch of shimmer. Best of all, this non-sticky, long-wearing formula is full of natural, organic, and paraben-free! Natural ingredients include Argan oil, nourishing coconut cream (to moisturize the lips) and jojoba oil (to soften the lips). It comes in 5 juicy shades and can be worn alone or on top of your favorite lipstick to achieve that perfect shine! This mascara conditions and lengthens lashes for a voluminous effect with no clumps, smears or flakes. 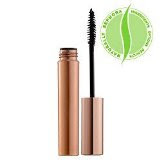 This mascara is an everyday must-have that contains organic Argan oil (to replenish and repair lashes) and organic jojoba oil (reconditions hair follicles) to strengthen and condition as it lengthens and defines. Colors come in brown and black. If you found this article useful, please bookmark or share. It is a need of the hour to save the earth and go green and what better way could woman take this up than this?It is surely a need of the hour and I am sure the products will also be good for the skin.